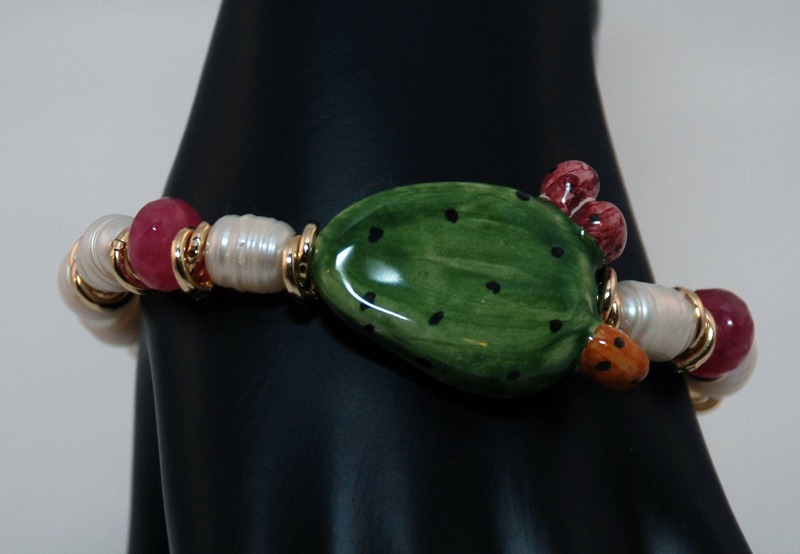 This is 100% original Sicilian ceramic bracelet. 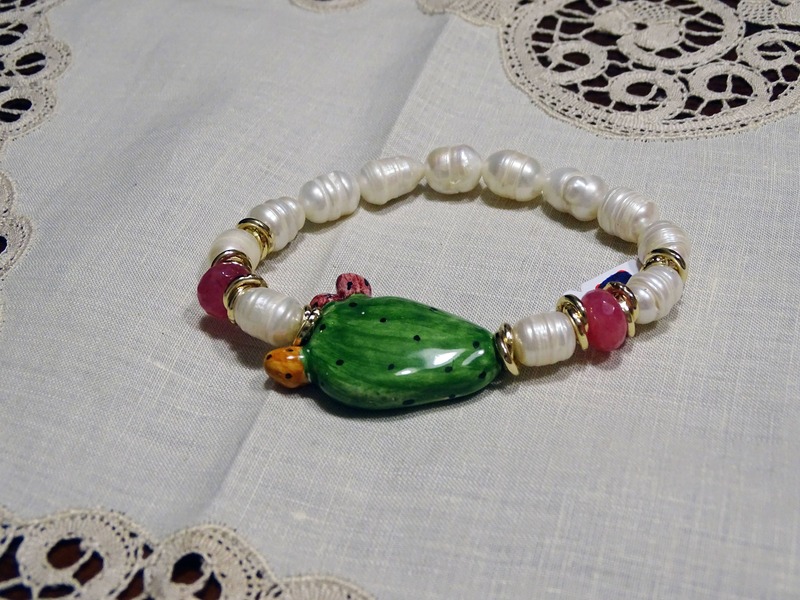 It is handmade in Caltagirone Sicily only using local natural stones, freshwater pearls and natural agate. 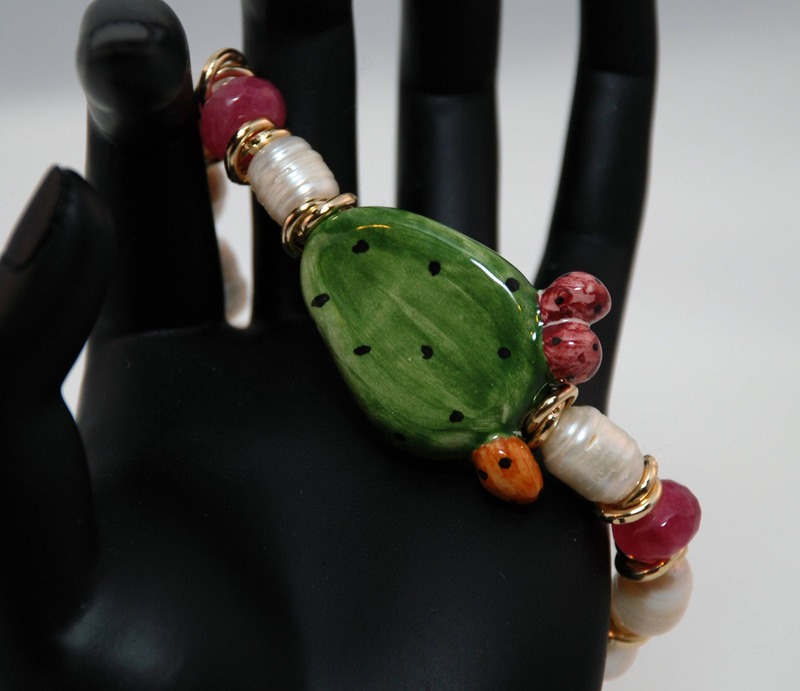 The prickly pears are made of local raw materials and 100% hand-painted. We import those items from Sicily to the U. S. for the enjoyment of our customers. This is one of a kind item, impossible to reproduce exactly as it is. This bracelet is great to wear during sunny mornings, both for formal and informal gatherings such as your Sunday brunch.